Last week I had the pleasure of taking Beverly and Bruce to the Reales Alcazares and after our productive morning, we went to taste the wonderful dishes of one of the best restaurants in Sevilla. An amazing day for welcoming Spring in the best setting of the city. 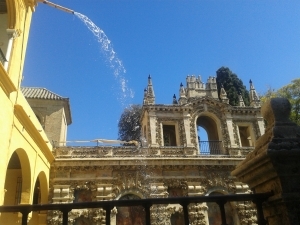 Situated among the Cathedral and the Archivo de Indias (place where trade with the indies was controlled and managed). 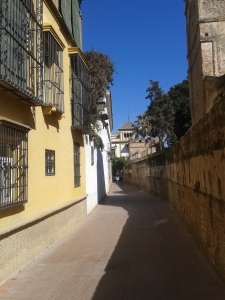 Some parts of the Alcazar are outside its walls nowadays, but it used to be bigger. “The Alcázar of Seville (Spanish “Reales Alcázares de Sevilla” or “Royal Alcazars of Seville”, Spanish pronunciation: [alˈkaθar])) is a royal palace in Seville, Spain, originally a Moorish fort. 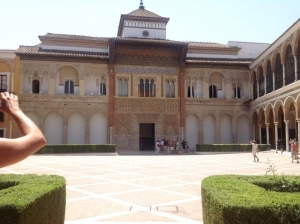 It is the oldest royal palace still in use in Europe, and it was registered in 1987 by UNESCO as a World Heritage Site, along with the Seville Cathedral and the General Archive of the Indies. We started visiting the different palaces were aristocracy from different cultures were lodged. Starting with the almohades, Peter I “the cruel”, Carlos V, etc. The places are full of stories as many important historical events occurred in this Alcazar (which is the arabic word for fortress). 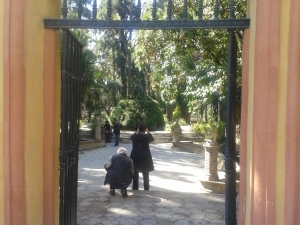 As you can see, the day couldn’t be better for the visit as Spring is flourishing timidly in Seville, so we enjoyed the still not too hot sun lighting every spot with the unique glance of southern Spain’s sunlight. This palace is very similar to The famous Alhambra. 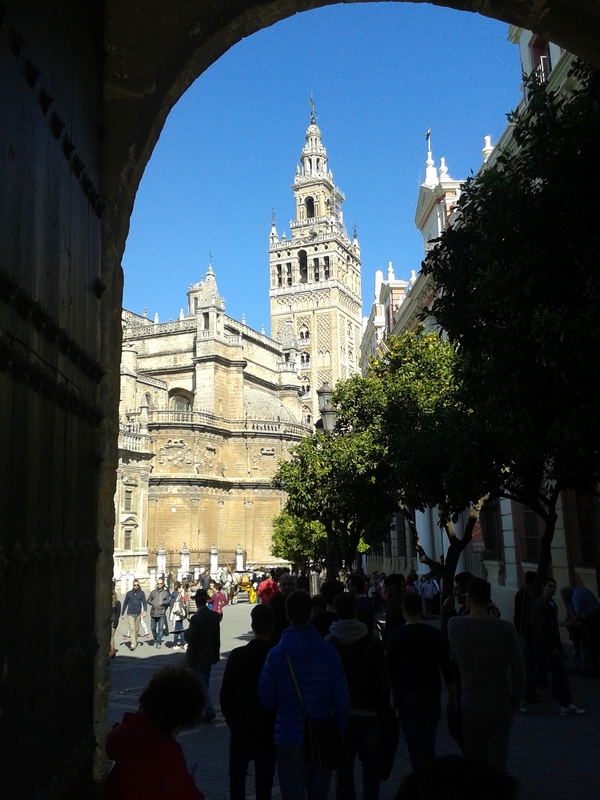 The only difference is that it got remodelled and changed as Seville used to be a more tolerant city with the living among different cultures and religions than Granada people. Jews, Muslims and Christians lived in quite harmony for long here. So, strolling the palaces and buildings , you can tell about it. There’s no rejection to other cultures, just respecting their constructions by remodelling them or building new ones next to those. 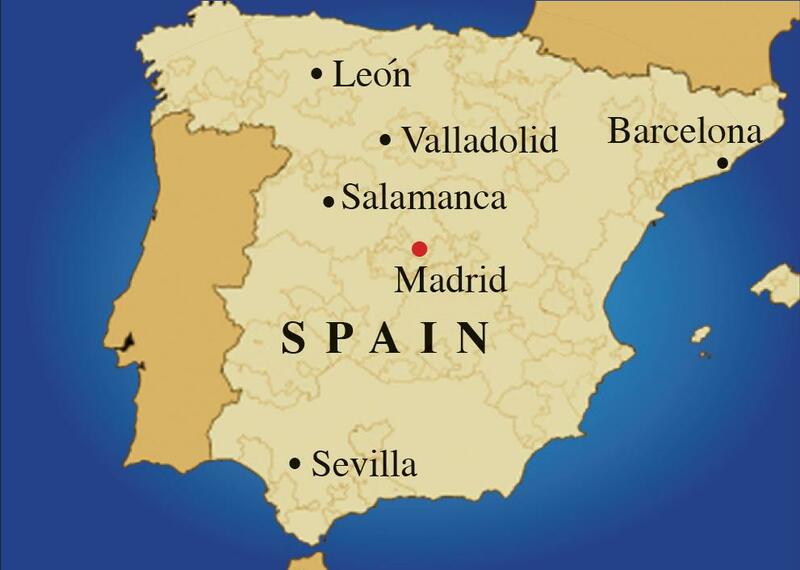 Actually, this is one of the most important features of Sevillian’s idiosincracy and way of living. As it has been one of the most important commercial ports of Europe, people got this cultural heritage learning how to live in harmony with others since ancient times. 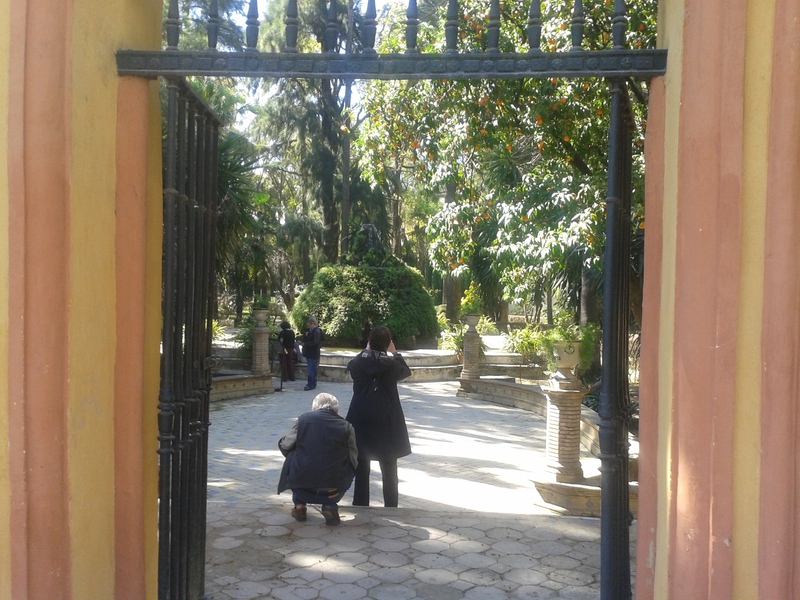 To finish our visit we took a walk through the charming gardes, which for me is the best and most astonishing part. Surely you realize that the moors knew how to enjoy the weather here. Besides, During the summer, the visitors and the citizens can enjoy live music shows, performances and concerts in these gardens. Please like comment and Share. 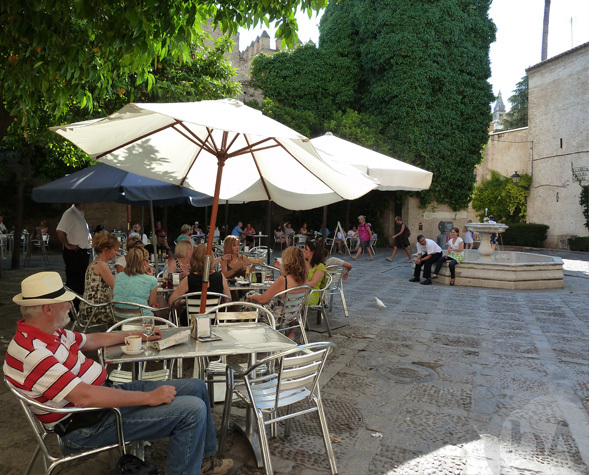 Top five things to do in Sevilla during summer season. 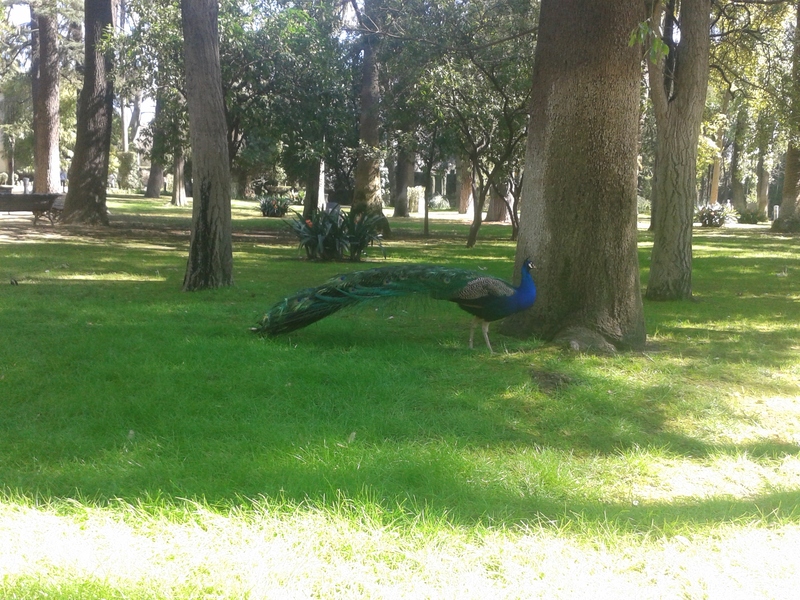 EASTER IN SEVILLE. A MUST IN SPRING AND A GREAT CULTURAL INPUT FOR THOSE WHO LEARN SPANISH. I love your post. 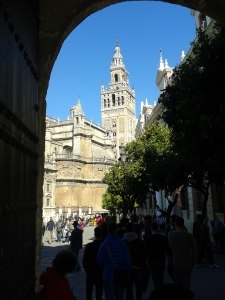 It´s good to know Sevilla througth your scope!! I will keep posted for sure.